When asked what she likes about Corbett, Tami replied, “I love the fact that my kids always felt safe at Corbett. Everyone knows everyone. My kids couldn’t get lost in the crowd because everyone – the teachers, administrators, maintenance personnel, and bus drivers – know all the kids and there is really a feeling that they care about the kids’ wellbeing.” With “family” ranking first on her list of priorities, Tami has dedicated much time and energy to supporting whatever activities her kids have been involved with. Though she enjoys traveling and sharing experiences with her husband, Derek, and her extended family, Tami has enjoyed being a “stay-at-home Mom” for many years. Tami brings a diverse range of experiences and skills to CEF having previously worked as a substitute teacher, office coordinator, and property claims representative. She is organized, creative, outgoing, and always quick to smile. 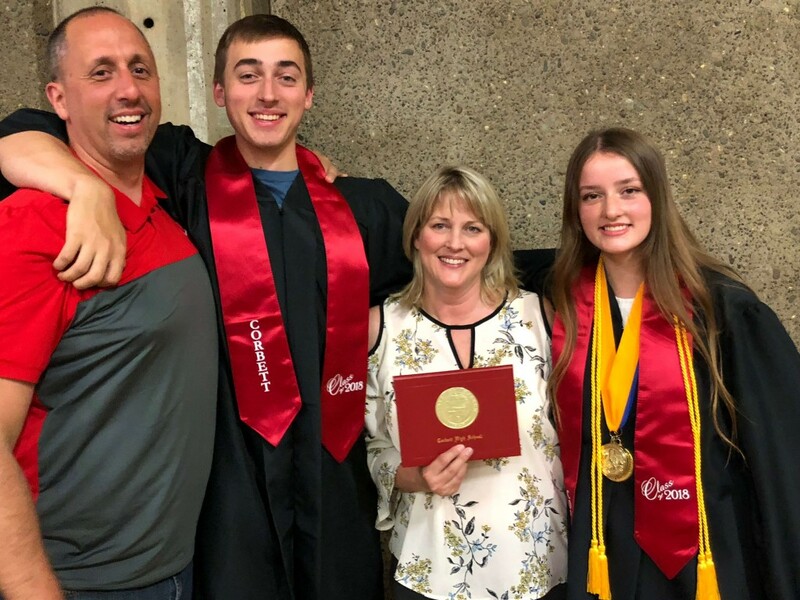 The CEF board is thrilled to have Tami join our organization and we are looking forward to the many ideas and contributions she offers in helping us grow and support CHS graduates.